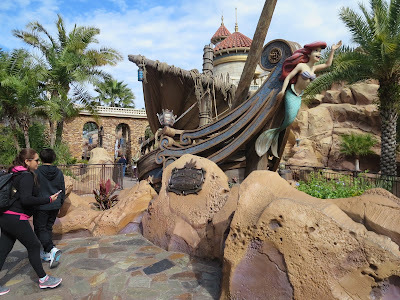 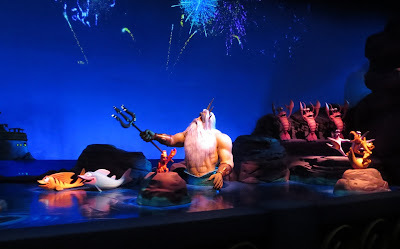 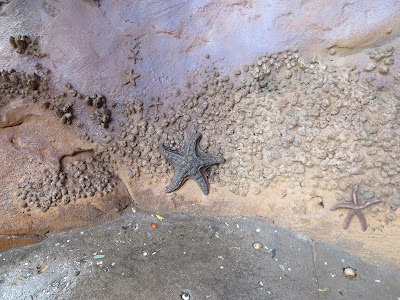 Disney Musings: Under the Sea! At the Magic Kingdom, in Fantasyland, you can find the Under the Sea Journey of the Little Mermaid. This is a slow ride, bright and colourful, it tells the story of The Little Mermaid in songs and is loud enough that you can sing along . 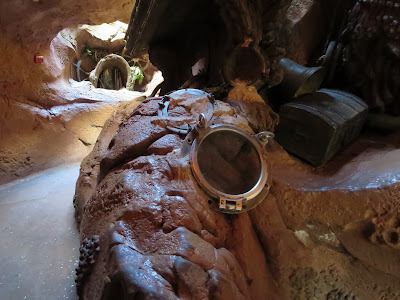 . . without bothering the other guests in their clamshells. 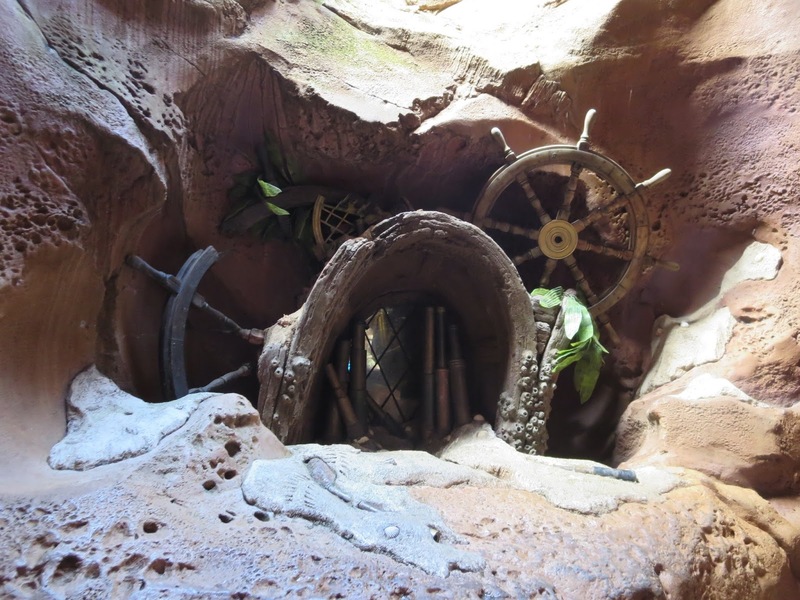 The theming of the ride starts at the entry and continues through the line-up. While you can fastpass this ride, if the standby line isn't too long, go in that way. 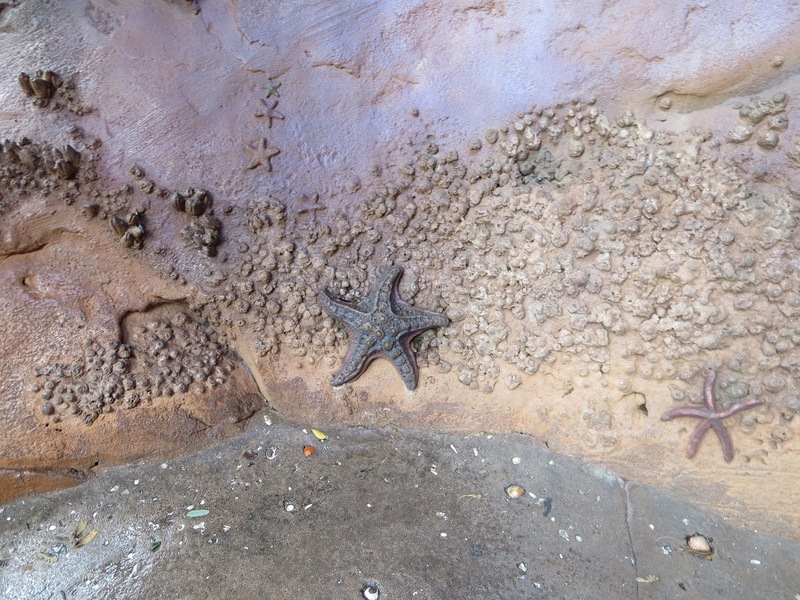 I love the attention to detail from the sidewalk on up! 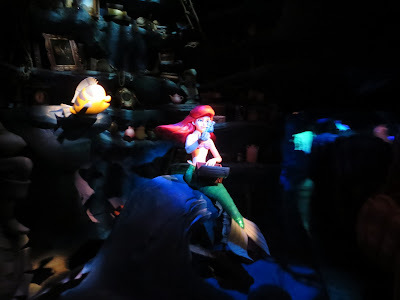 You need a way better camera than mine to get good photos on the ride, remember - no flash photography. 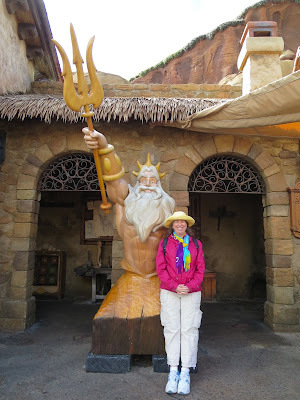 Across from the entry is your only chance to get your photo with King Triton. This statue can be a busy spot, lots of folks want their photo here. 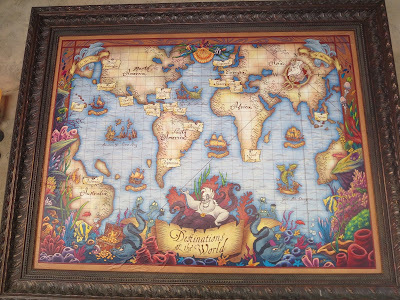 If you look at the back of the Disney Vacation Club booth that is right there, this map is on the wall and it is beautiful.